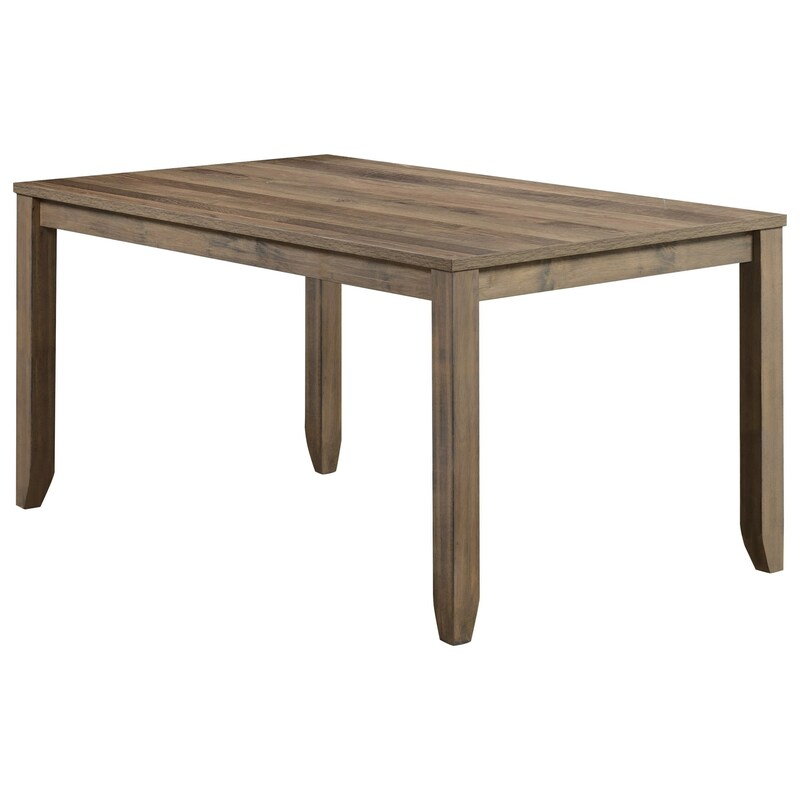 With its grey wood tone and clean lines, this dining table offers a casual contemporary look for any dining space. A melamine finish renders the table heat, stain, and moisture-resistant for lasting style and durability. The Sean Stain-Resistant Melamine Dining Table by Rooms Collection One at Rooms Furniture in the Houston, Sugar Land, Katy, Missouri City, Texas area. Product availability may vary. Contact us for the most current availability on this product. The Sean collection is a great option if you are looking for Contemporary Casual furniture in the Houston, Sugar Land, Katy, Missouri City, Texas area. Browse other items in the Sean collection from Rooms Furniture in the Houston, Sugar Land, Katy, Missouri City, Texas area.